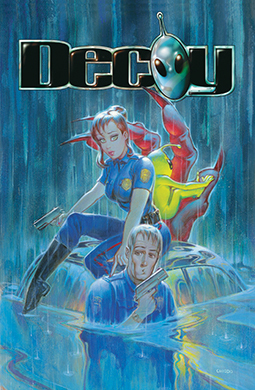 Featuring a painted cover by Joe Chiodo, a foreword by Eisner-Award winner Mike Kunkel (Herobear and the Kid), and over twenty pages of bonus material – including an original storyboard sequence, a Dolphin City Police vehicle exhibition, and an extensive pinup gallery – Decoy Storm of the Century compiles the original four-issue mini-series into an extraterrestrial graphic novel that showcases the talents of creator/penciler Courtney Huddleston and writer Buddy Scalera. 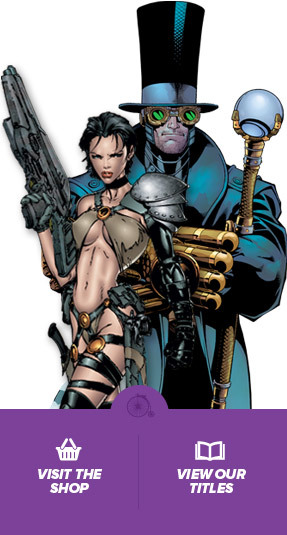 (Feb. 2003) Softcover. 192 Pages. Full Color.